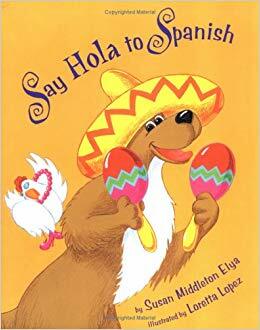 For the youngest Spanish learners, I hope the find enjoyment in hearing, saying, and hearing themselves say the new sounds. I encourage students to repeat the words and sounds they hear. I often use music to facilitate feel, mood, flow to enhance memory of the sounds. I believe learning a language starts with gaining familiarity and comfort with the sounds, so at this stage I do not over emphasize memory and translation. I merely want them to hear a lot of the sounds from me, from themselves, from classmates, and as many other people as possible. We learned greetings of the day in Spanish. Buenos dias, buenas tardes, buenas noches. Dia bonito! 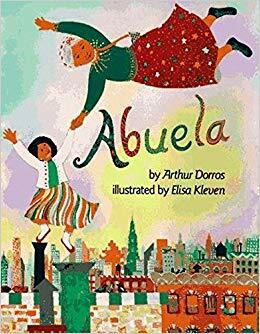 We read "Abuela" by Arthur Dorros.